I was fired after I told my boss that I had cancer. If you were terminated after informing your boss that you were diagnosed with cancer, you might be dealing with many unanswered questions. Does your employer have the right to fire you just because of your cancer diagnosis? Is your termination legal? Could you do anything against your employer after being terminated solely based on your diagnosis? What options are available to you after being terminated unjustly based on your cancer diagnosis? Depending on the specific details surrounding your termination, you might have grounds to take action against your employer. Did your employer begin treating you differently immediately after learning of your cancer diagnosis? Were you subjected to mistreatment that eventually resulted in termination? Did your employer try to justify your termination with false reasoning? If you believe that you were terminated directly because of your cancer diagnosis, you must seek legal assistance with the experts at California Labor Law Employment Attorneys Group as soon as possible. Would you like to learn about your right to take action against your employer after being unjustly terminated based on your cancer diagnosis? California Labor Law Employment Attorneys Group is an employment law firm with many years of experience handling a variety of employment claims, including termination claims surrounding cancer diagnoses. If you would like our knowledgeable employment attorneys to evaluate your claim and provide you with the information that you need to take action against your employer, do not hesitate to contact our firm as soon as possible and request to speak to our expert lawyers today. The lawyers at California Labor Law Employment Attorneys Group are ready to evaluate your claim and guide you towards a successful claim outcome. To discuss your claim with the lawyers at our firm, contact California Labor Law Employment Attorneys Group at your earliest convenience. If you were diagnosed with cancer, you likely had to inform your employer – especially considering the fact that you likely had to take some time off from work to go to appointments, for example. Has your diagnosis directly affected the way you can perform your job? In general, employees with a cancer diagnosis can continue to perform their jobs even though some employees might need a reasonable accommodation. Without a doubt, many employees with cancer have to stop working because they are physically, mentally, and emotionally unable to work – especially if they are struggling with late-stage cancer. Many employees diagnosed with cancer, however, choose to work through their condition – because, after all, they still have to make ends meet. Unfortunately, many employers discriminate against their employees just because of their medical conditions, such as cancer. This unfair treatment can eventually lead to termination. After learning of a diagnosis, employers might begin denying employees certain opportunities. Employers might even begin to scrutinize their work with no valid reason. In many cases, employers refuse to allow employees time off for appointments, treatments, and certain medical procedures, for example. Employers are also known to deny employees their basic right to go on medical leave. If you believe that you were the victim of a wrongful termination based on your cancer diagnosis, do not hesitate to contact our lawyers as soon as possible. Although it might seem unclear, these laws offer a variety of protections to you and all other employees with cancer diagnoses. If you would like to learn more about how these federal and state laws protect you from unfair treatment and termination based on your cancer diagnosis, do not hesitate to seek legal assistance with the experts at California Labor Law Employment Attorneys Group as soon as possible. Our cancer termination lawyers are ready to provide you with all the information that you need to take action against your employer. What could you do after suffering a termination based on your cancer diagnosis? What are the options available to you? What could you do? Do you have the right to do anything against your employer? Unfortunately, many employees are unfamiliar with the fact that they have the right to take action against their employers for unfair treatment – including unfair termination based on a medical condition such as cancer. Because of this, many employees fail to take action against their employers – meaning that employers are never held accountable for their actions. If you r employer subjected you to unfair treatment and eventually terminated you because of your cancer diagnosis, you must take action against your employer as soon as possible. File a charge with the Equal Employment Opportunity Commission (EEOC). File a charge with the Department of Fair Employment and Housing (DFEH). File a civil lawsuit against your employer for cancer discrimination. All employment claims must go through employment agencies – either federal or state. The EEOC is a federal employment agency. The DFEH is a state employment agency, on the other hand. When you pursue a charge with either the EEOC or DFEH, the employment agency will investigate your claim and take action against the employer. As mentioned above, employees also have the right to pursue civil lawsuits; however, they cannot file civil lawsuits until they have been granted the right to sue from either of the employment agencies mentioned above. Without a doubt, you and all other employees dealing with cancer and mistreatment in the workplace, have the right to take action against your employer. However, you must ensure that you take action against your employer within the appropriate length of time – as you can lose your right to sue. Claims through the EEOC (within the state of California) have to be filed within 300 days; civil lawsuits must be filed within 90 days of receiving the right to sue from the EEOC. On the other hand, claims through the DFEH have to be filed within 1 year; civil lawsuits must be filed within 1 year of receiving the right to sue from the DFEH. If you would like to learn more about pursuing a charge through the EEOC, the DFEH, or the civil courts, do not hesitate to seek legal assistance with the experts at California Labor Law Employment Attorneys Group today. Your employer fired you because you have cancer. You can take action against your employer, but can you receive compensation? After taking action against your employer, you might expect to be reinstated to your position, for example. However, you might be eligible to receive monetary compensation. Depending on the details of your termination, you might be eligible to receive compensation for the following: the income that you lost as a direct result of your termination; the benefits that you lost after being terminated; the mental and emotional distress associated with being suddenly and unlawfully terminated; punitive damages awarded to punish the defendant. If you would like more information about the specific type and amount of compensation that you might be eligible to receive, do not hesitate to contact our law firm as soon as possible. Our cancer termination lawyers are ready to fight for your right to recover the compensation that you deserve. If you are ready to allow our lawyers to fight for your right to recover the highest amount of compensation available for your claim, contact our firm today. – Can I File a Pay Reduction or Discrimination Lawsuit for Cancer Diagnosis? Were you fired after your employer learned about your cancer diagnosis? Did your employer terminate you after you informed him or her about your diagnosis? 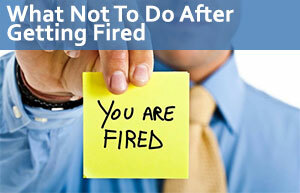 If you were fired simply because of your diagnosis of cancer, your termination might have been unlawful. If you believe that you were illegally fired after your employer learned that you had cancer, you should seek legal assistance as soon as possible – as you might have grounds to take action against your employer. If you would like more information about the possibility of taking action against your employer after being fired only because of your cancer diagnosis, do not hesitate to seek legal assistance as soon as possible. The employment attorneys at California Labor Law Employment Attorneys Group are ready to evaluate your claim and provide you with the assistance that you need. The employment attorneys at our firm have many years of experience handling termination claims, including cancer termination claims. When you contact our law firm, you could trust that our attorneys will do everything within their reach to successfully handle your claim and hold your employer accountable for their unlawful actions. If you are ready to discuss your cancer termination claim with the employment attorneys at California Labor Law Employment Attorneys Group, contact us immediately. When you contact our employment law firm, you will find that our legal services are available to you and to all other employees free of charge. Our law firm offers both free consultations and free second opinions to ensure that all of our clients have access to the legal expertise that they need to take action against their employers after being terminated based on their cancer diagnosis. During our free consultations and free second opinions, our employment attorneys will be available to answer all your questions and address all your concerns, ensuring that you have access to all the information that you need to take action against your employer for illegally firing you. Whether you are interested in beginning or continuing your cancer unlawful termination against your employer, you could be certain that our knowledgeable lawyers will not rest until your claim reaches a successful outcome. Are you ready to schedule a free consultation? Do you think you could benefit from a free second opinion? If you are ready to discuss your claim with the attorneys at our employment law firm, do not hesitate to contact California Labor Law Employment Attorneys Group today. Are you in need of legal assistance? If so, you should contact California Labor Law Employment Attorneys Group immediately. You could benefit from our free legal services as part of our Zero-Fee guarantee – which means that you will never be required to pay any upfront legal fees. Our law firm is also strictly based on contingency. What does this mean? You will never have to pay anything until after our lawyers reach a successful outcome for your claim. If your claim does not reach a positive outcome, you will not be required to pay anything at all. If you would like to discuss your claim with our lawyers, contact us at your earliest convenience.